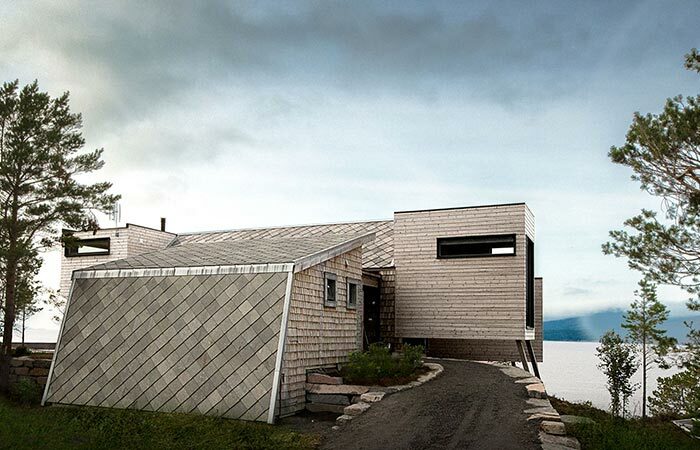 Designed by Rever & Drage Architects, Cabin Straumsnes is a modern complex that overlooks the Norwegian Sea. This holiday house is built on a place where the old, 50s cabin was located. The architects claim it’s paradoxical that the new main cabin was built after the annex in the first place. The reason lies in the fact that they wanted to include the annex of the old cabin into this new building. The pool is another thing that was kept and redesigned for this project. The final result is a modern complex that has separate modules with flat roofs. The modules are elevated and designed to be like traditional shelters, protecting the structure and residents from strong winds. 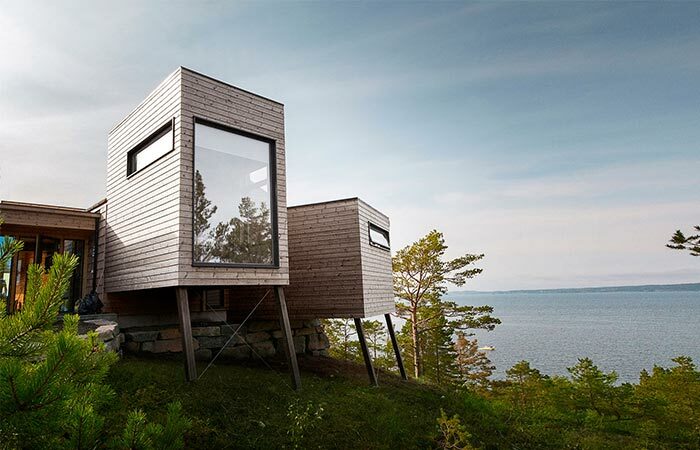 Cabin Straumsnes has several elevated modules, each with its own purpose. 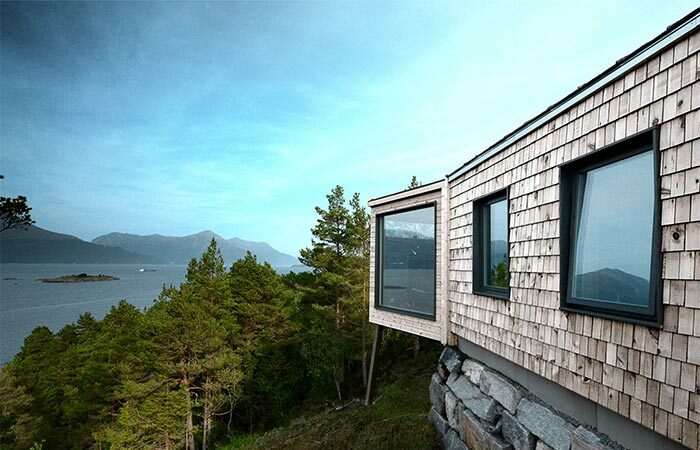 The cabin is located in Norway and overlooks the sea. Each module serves a different purpose. With this in mind, the top, front module is a study with a magnificent view of the sea. The other modules are either secluded bedrooms or communal areas. In the heart of the module that represents the living area is a fireplace. 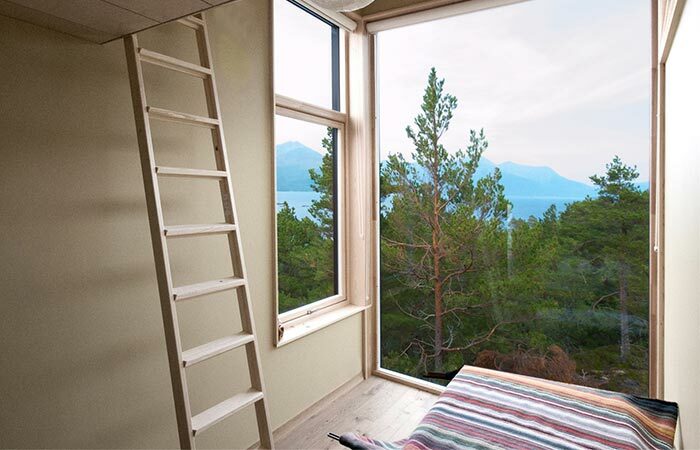 The master bedroom, on the other hand, has access to its own sauna. The path leading to the entrance of the house. The view of the pool and the coastline from one of the modules. The curved pathway leads to the entrance of the house that’s hidden from view. Equally important are the large windows that provide the residents both with natural light and spectacular views. 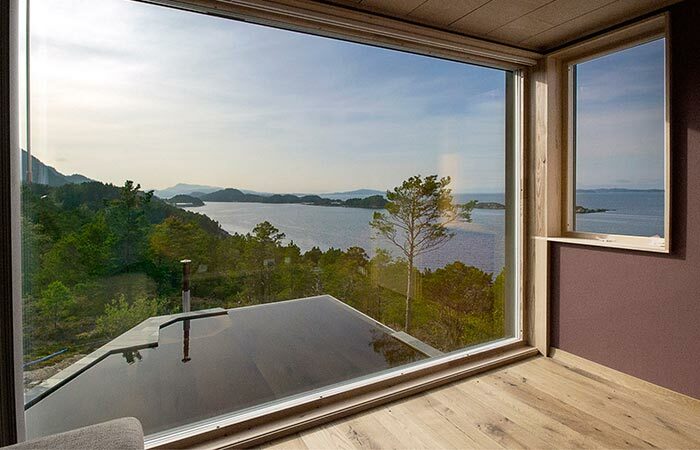 This way, the inside of the house feels connected to the natural environment and coastline surrounding the house. As for the interior, it features plywood-lined ceilings with attention to minimalistic modern furniture. As can be seen, the bedrooms are secluded. 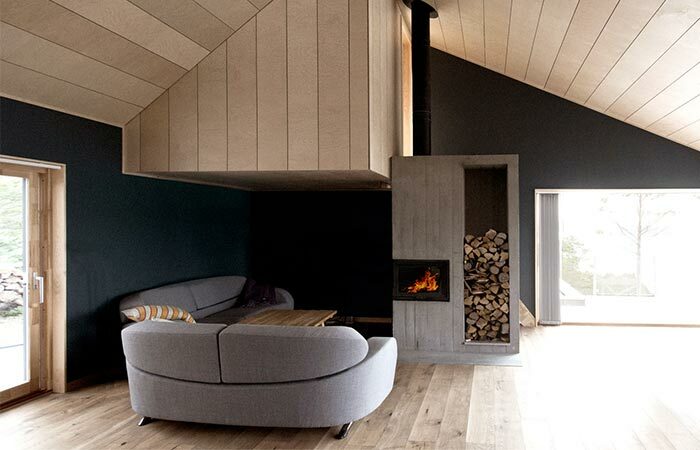 The fireplace is located in the middle of the living room whereas the master bedroom leads to its own sauna.